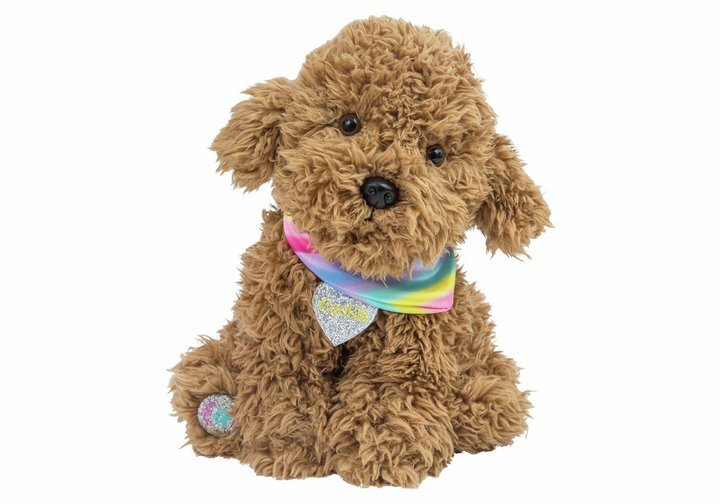 Super cute, the Chad Valley Bright Paws Cookie the Labradoodle Soft Toy has a stunning collar, name tag and beautiful rainbow bandana. Your most cherished will love to cuddle and stoke this Bright Paws pet, which comes with a beautiful paw based glitter button. Comes beautifully packaged in a rainbow-coloured gift box with a pretty ribbon handle. Size H25, W27, D14cm. Get money off with April 2019 free Argos voucher codes, see if there's a promo code for the Chad Valley Bright Paws Cookie the Labradoodle Soft Toy product. Argos may be out of stock of this product. To enhance your shopping experience you may also be redirected to a search results page when you click an outbound link.